PureVPN is fun to install! ipaddressguide.org > Blog > News > PureVPN is fun to install! 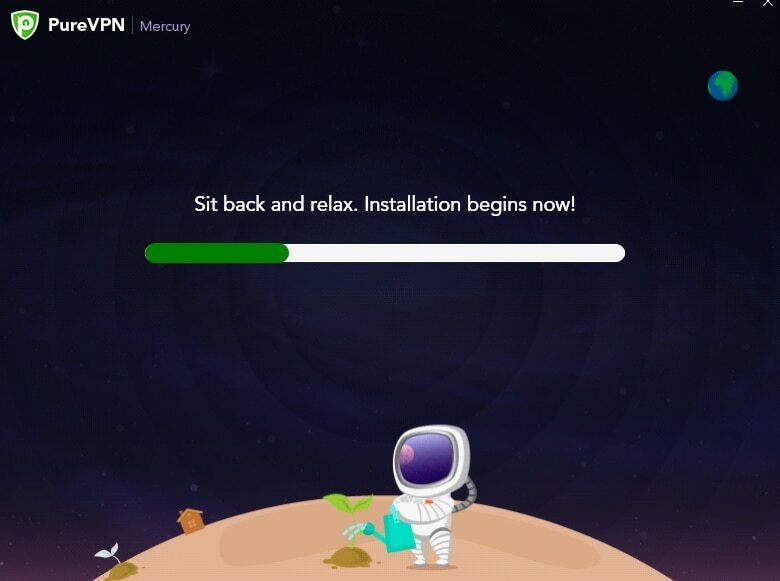 Installing programs are often boring, but installing PureVPN is a breath of fresh air. It isn’t a fantastic experience, but compared to all the other VPN providers on the market, they have made it really cool! Most programs just show you the progress bar during the installation, and then you can open the program when it is finished. 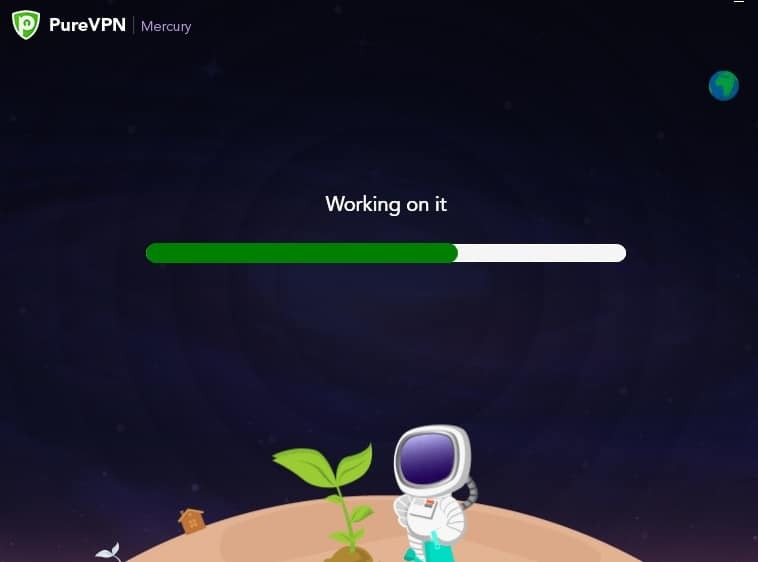 PureVPN has done this very differently, and during the installation progress, you can follow this creature starting a new life on a new planet. As the installation moves on, so does this little world, and it grows bigger and bigger and bigger. 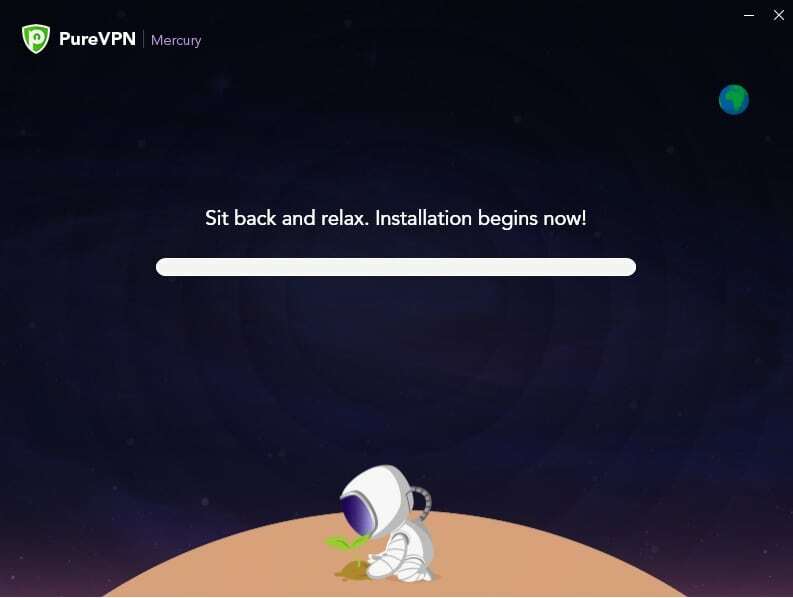 Wonder what it is like to install PureVPN? You can visit the PureVPN website and download the client yourself. Or, you can just take a look at the screenshots beneath showing you parts of what it is like. It is important to water the soil! Things are really growing – great job! Man, our guy really did a great job! Well, this is what it is all about installing PureVPN. Congratulations to the people creating the application, this for sure looks better than a normal and boring progress bar! Would you like to know more about other VPN providers as well? Check all our VPN reviews here in the IP Address Guide. If you have a comment or a question, let us know!